We are getting more tall buildings around here in Calgary. There are also more regular size buildings too for people to live in, which should be good for the city. I like it when more people are living in the centre of a city rather than in the suburbs and all the new buildings should help with that. To me, more people equals more life. 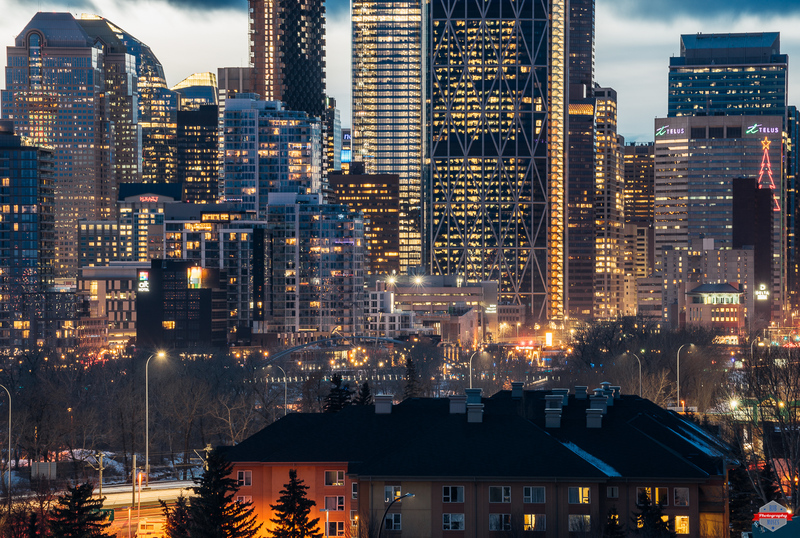 This entry was posted in Architecture, Cities and tagged 70-200mm, A7R, Alberta, alt hotel, apartment, apartment buildings, apartments, architecture, beautiful, big, big city, Bow Valley College, bridge, Bridgeland, buildings, Calgary, Canada, city, City Life, cold, condos, delta, downtown, East Village, evening, explore, freezing, G, Hyatt, inner city, lights, long exposure, metro, modern, night, night life, photo, Photography, pretty, prime, Renfrew winter, sky, Skyline, skyscraper, skyscrapers, sony, street, sunset, tall, telus, uptown, Urban, windows, yyc. Bookmark the permalink. I’m amazed with the many tall buildings in Calgary. The 2-3 times I went on a business trip, the skyline didn’t seem to be tall (this was in the late 1990s). How does it compare to Edmonton, another place I went on business a few times. I’ve got the pics you sent me in a folder. Will save up for a post! Just an idea, but if you and any of your wedding people are into it, I would do a post on my Art Gowns Blog that features some of the Wedding Gowns…only, (no pics of anything but brides in gowns), as it is a Gowns blog!